MK Gallery is delighted to announce that Arts Council England has confirmed an award of £2,950,000 to the MK Gallery Expansion, following the Gallery’s successful Stage Two capital funding application. 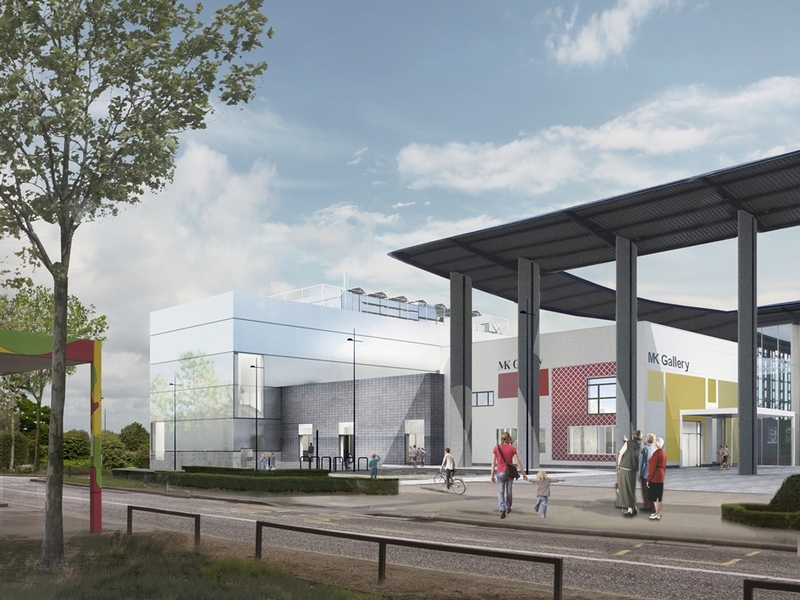 This major investment brings the realisation of the £10m renovation and expansion project a significant step closer, with MK Gallery having secured almost 90% of its fundraising target. The Expansion will double the current exhibition spaces, provide new, dedicated education and community facilities, a new café and shop, and three new cinema screens for independent film. This development will enable the gallery to substantially broaden its world class artistic programme, with occasional historical as well as contemporary exhibitions, alongside film, talks, events and wide ranging opportunities for community groups and schools . 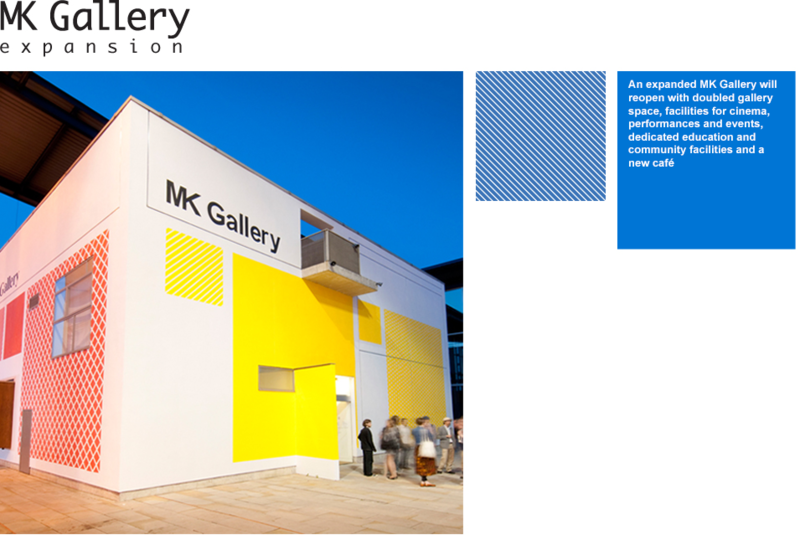 MK Gallery has assembled a specialist team of design consultants and advisers to deliver the Expansion, led by 6a architects. The Gallery’s planning application was submitted to MK Council in October and is currently available to view via the Council’s planning portal. MK Gallery is currently inviting individuals and businesses to help with the final 10% of fundraising. Opportunities range from membership of the MK Gallery Patron Scheme to supporting the Gallery’s 15 for 15 campaign, which allows donors to mark the Gallery’s first successful 15 by making donations of £15. That’s just £1 for every year that MK Gallery has been delivering world-class exhibitions and events.